How will emerging technologies alter our relationship to material consumption – for better or worse? 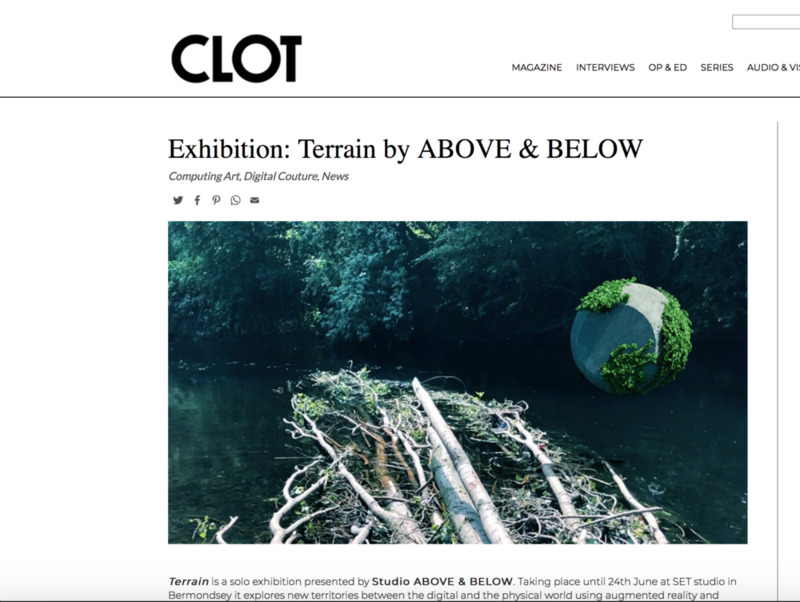 Above the Surface is an augmented reality (AR) artwork by Above&Below that reimagines how we might desire – and consume – objects in the future. Audiences enter a space in which they experience 3D-printed physical objects on a sculptural table through AR viewers. The 5-minute-long audio-visual experience creates digital overlays over the objects, altering perception. Above the Surface tells the story of the overproduction of objects, asking whether this may be the future of sustainable consumption and addressing our vulnerability to external digital forces. The piece reflects on how emergent technologies might benefit the whole of society, in line with the United Nations’ Sustainable Development Goals. Co-founder Daria Jelonek‘s “Technological Nature” made it to the longest of this year’s Aesthetic Art Prize. The interactive installation focuses on the relationship between nature and technology, exploring the topic light, hidden in our algorithmic environments. Technological Nature is the name of both a speculative film and an audio art installation which question the status quo of technology and our loss of ties to nature. Augmented Reality Technologies and Sustainability. Based on a year long commission by art and tech institution Collusion in Cambridge, previous research at the Royal College of Art and presentations such as at WIRED Creative Hack award 2017, we are questioning emerging technologies’ impact on our changing environment through our speculative art works. Will human kind design a new society for our Augmented Reality sphere? Can high quality computer generated images replace missing bits between nature and technology? What role does materiality play in the in-between space? And is there a way that emerging technologies such as AR can help us to reconnect with our environment and lead to a more sustainable interactions?